Automobile accidents are the number one cause of death to children. This page quickly explains rear facing car seats. You will be a rear facing car seat expert in 2 minutes from now. Car seat laws are confusing as most states all have different laws. 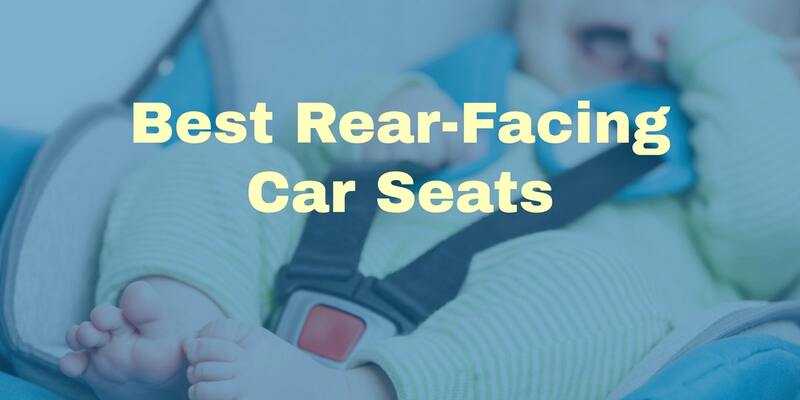 Additionally, most states do not require parents to use rear facing car seats past 12mos. FACT: According to an article in the journal Injury Prevention, during an accident, infants in a rear facing car seat are up to 500% less likely to be injured. A rear facing car seat cradles and moves with the infant which reduces stress on their fragile neck and spinal cord. 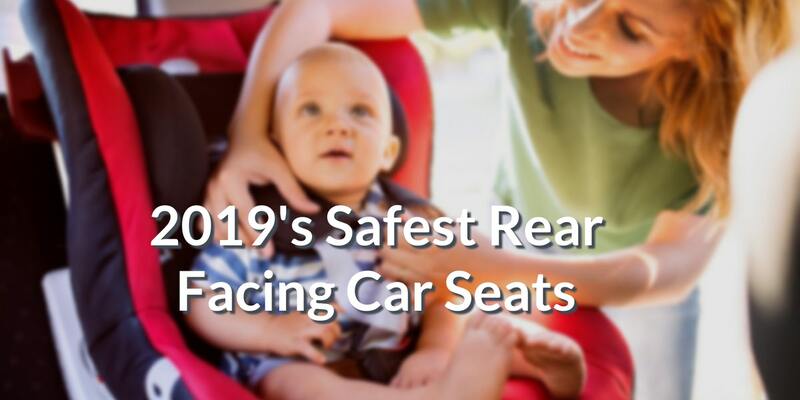 Age: According to the NHTSA, children should remain in a rear facing car seat until they reach the top height or weight limit allowed by your car seat’s manufacturer. In most cases, children are 2 – 3 years old when they meet this criteria. A study by the American Academy of Pediatrics backs this up as well. Confusing some people are the many types of rear-facing car seats. Let’s clear that up. Rear-Facing Only: Also called “infant seats”, these car seats are for newborns and can only be used as rear-facing. 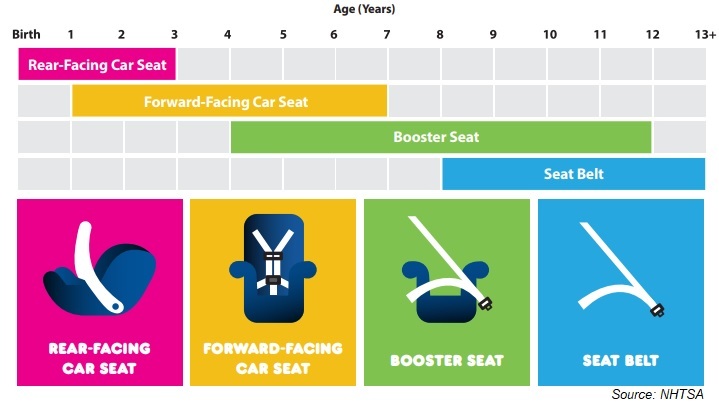 Rear-facing only car seats are usually outgrown by infants at 8 – 9 months of age. Convertible Seat: This seat can convert from rear facing to forward facing. Manufacturer sizes vary. All-in-one seat: This seat can convert as well and also has a booster seat. In most cases, people get a rear-facing only seat until the infant is about 9 months old, then a convertible seat. The convertible faces the rear until it can be turned forward facing. When the child is old enough they can then get a dedicated booster seats. Booster seats are cheap. At 8 – 12 years of age, the child can go to a normal seat belt. For a seat belt to fit properly the lap belt must lie snugly across the upper thighs, not the stomach. This is the Number 1 rated infant car seat in America. It is extremely popular on Amazon with hundreds of 5 star reviews, and is the safest according to Consumer Reports. And it is only $199. We love this rear-facing car seat as it will hold most children all the way up until age 2. Coming in at $279, the car seat gets an “Amazon’s Choice” award. Reviewers also give the car seat a full 5 star rating. This one has a “2 stage base” which converts from infant to toddler. Buy the Fit2 on Amazon here. 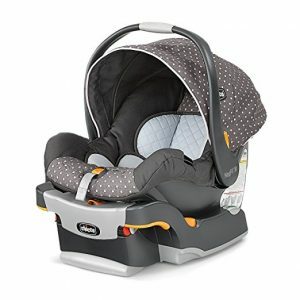 This car seat fits babies from 4-25lbs and accommodates children up to 35″ tall. The 2-Stage base converts from Infant Position to Toddler Position. Upright, spacious seating with adjustable and extended leg room for toddlers 9-24 months – without taking up extra space in the vehicle. Compatible with Chicco strollers for travel system use. Recommended by Consumer Reports and many other car seat safety websites, the Britax B-Safe 35 fits babies 4-35lbs and up to 32″ tall. Amazon User Niel left a review for this car seat which said “Totaled our car. Our son came out unscathed. 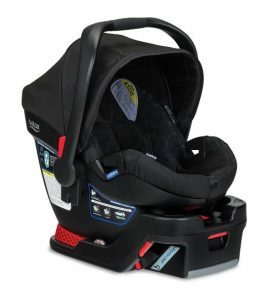 Immediately repurchased.” This seat is not as popular as some of the others here but is indeed a highly rated car seat. This seat normally runs about $160 – $200. Click here for the current Amazon price. Fits Child Standing Height:32 inches or less. Child Seated Shoulder Height:6.5 – 11 inches. Seat Back Compartment Height:20 inches. Seat Area Depth / Width:13/8.75 inches. Shoulder Width:10 inches. Harness Slot Heights:5/7/9/11 inches. Buckle Strap Depths:4/6 inches. Impact-stabilizing steel frame offers superior strength where you need it most at the connection point to the vehicle. Removable head pad acts as a cushion for your child and can be removed. Click & Go stroller compatibility allows you to pair the seat with any Britax stroller. Didn’t find what you were looking for? 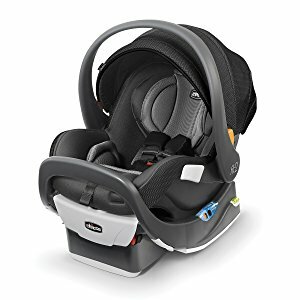 Check out all infant car seats on Amazon here. American Academy of Pediatrics on ages. Installation: May fire departments, police departments and other government agencies wil help you with free installation, training and checking of your car seat. To find agencies near you which offer this, visit this page on NHTSA.